ST9400S 1 Day Service Programmer The ST9400S Service Interval time controller has additional features to help landlords comply with the requirements of Regulation 36 of the gas regulations 1998. The landlord, installer or service company can configure the Service Interval, the advance tenant notification period and how the controller will operate when the Service Interval has expired. This model looks and operates exactly as standard ST9000 models, until the gas service is due, at which point the predetermined action takes place. The LoT display can also be used to show a telephone number to help the user arrange their gas service. This model is a 1 day full programmer with Service Interval reminder, and two on/off switching times per day. 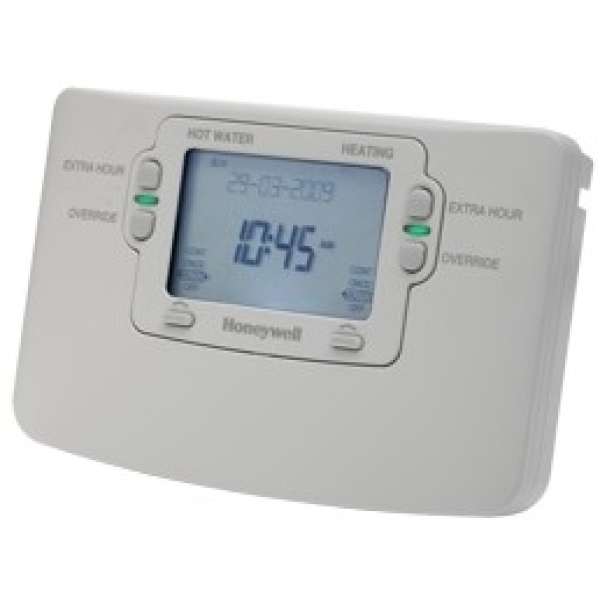 Heating and hot water can be programmed independently. The ST9400S complies fully with Building Regulations Part L1 for England & Wales. This model has superceded the ST6400S.